Deb Nolan offers independent financial advice in Leeds / Bradford. She opened our West Yorkshire office in January 2013 and she offers financial planning advice to clients throughout the whole of Yorkshire, (including Leeds, Bradford, Halifax, Skipton and Huddersfield). Deb was joined by Tracy Gannon, Personal Assistant/Administrator in 2015 and Rebecca Wood, Administration Assistant, in September 2018. The Leeds / Bradford financial planning team work in offices at historic Tong Hall, where parking is available for clients. Deb provides advice on protection, investments and retirement planning to both individuals and businesses. In August 2015 Deb passed the Chartered Institute of Insurance (R08) Pensions Update examination, ensuring Deb is qualified to give advice on pension legislation. 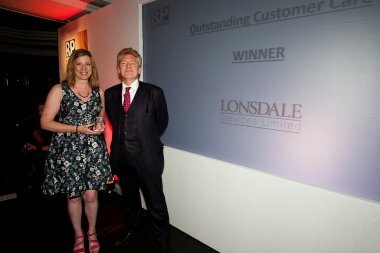 In June 2017 Lonsdale Services won the Retirement Planner national award for Outstanding Customer Care by submitting a client case study from Deb Nolan. Deb was aware of how the tax-free cash pension legislation changed in 2006. She advised a member of a money purchase occupational pension scheme they could be due a financial entitlement in the form of scheme-specific tax-free cash protection. She explored this with the relevant pension provider, and her client received a tax free lump sum which saved them higher rate tax payments. In 2018 Lonsdale Services won the Retirement Planner Award (RPA) for Best Individual Pension Advice firm in the South East and Anglia, and we were ‘highly commended’ in the Estate Planner Adviser category. In June 2018 Deb Nolan and Tracy Gannon joined other Lonsdale colleagues on the Trek26 Alzheimer’s Yorkshire Three Peaks Challenge. The team raised over £3,457 for Alzheimer’s Society. The Financial Conduct Authority does not regulate Cash-Flow Modelling, Tax Advice, or Estate Planning. The value of investments can fall as well as rise. You may not get back what you invest. Rebecca Wood works as an administrator with independent financial adviser Deb Nolan and administrator Tracy Gannon in our Leeds / Bradford office. The Lonsdale Services team completed the Alzheimer’s Trek26 Yorkshire Three Peaks challenge walk on 30th June. Book a consultation with a Financial Adviser at our Leeds / Bradford office.